Everyone has their “sound.” You know, that one sound that seems to speak to your soul, hit all your right chords, the “bees knees” if you will. A lot us (myself included) can say we like all music which is awesome, but there’s some sounds, songs, and artists that just hit the sweet spot. My sweet spot has always been smack dab in the middle of the indie rock meets acid rock with some electronics and pop dabbled in. 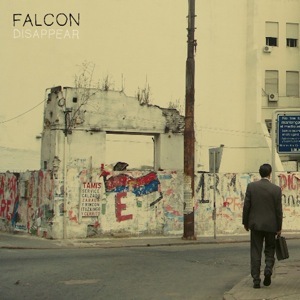 Artists such as The Shins, The Frames, The Flaming Lips, and Death Cab for Cutie define my “it” sound, and this newest find, Falcon manages to mash all these sounds together. On the New York quartet’s first full-length release Disappear, Falcon cuts their teeth as a legitimate force destined for big things. It’s an album with a cohesive sound, but with ups and downs that will undoubtedly keep your attention throughout. Lead vocalist, Neil Rosen has a decidedly Wayne Coyne (of The Flaming Lips) quality at numerous points, but most notably on track “Disappear.” “Stories” has a rather ’70s disco groove, but with a bit of a different vocal style than “Disappear,” and the whole thing caps off with an excellent capstone, “Elves,” that showcases the band’s diversity in capability, and their awesome sound. I’m going to be rocking this album for a while, and it ranks up there as one of my best albums of 2011…so far. Download “Say Goodbye” for free HERE.